To start off with the basics: What is marketing automation? Marketing automation, to put it simply, is the use of software to automate marketing processes. It executes recurring marketing tasks such as publishing social media posts, sending out emails, getting client follow-up alerts, without any manual, repetitive work. When used correctly as part of your daily workflow, marketing automation tools nurture prospects with helpful, personalized content that can convert leads into loyal, long-term customers. Discover why it’s a must in your business. Why to use marketing automation? No matter how large or small your team, you have a limited amount of resources to grow your business. Traditional marketing tactics – frequent phone calls and client visits – can still drive business success, but marketing automation can make them much more efficient. Here is an example of the efficiency created by marketing automation: Once customers make a purchase, marketing automation software automatically adds them to a “customer” list and sends them content that’s designed to encourage them to make a new purchase or complete any other objective. When inquiries are made on a website, leads are automatically added to a “lead” list and they receive content related to the subject in which they’re interested. If you are figuring out how to increase ROI and ensure the success of your business, you need to have direct access to your critical marketing KPIs. A marketing automation software combines all the important systems in your company and enables reporting and analyzing your actions easily. It also makes sure that your messages are connected everywhere and you can easily see where the tasks are being performed and measure their results. 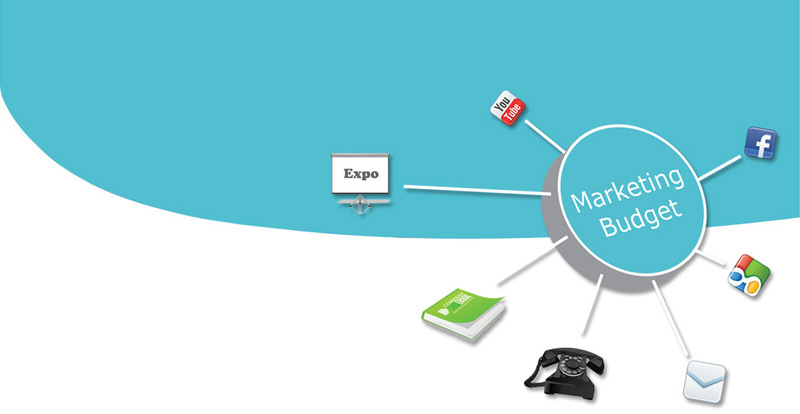 With marketing automation, you can get rid of many routine tasks and manual work. When you replace manual work with automated rules and campaigns, you naturally free up your staff’s time to focus on more creative tasks. In marketing, this means new ideas, better content, and overall more creative work. For the sales team automation frees up time for taking care of customer relationships and pursuing qualified leads. When using marketing automation software, you can also reduce your staffing costs. One employee can compete with a whole marketing department when processes are automated. Sounds crazy, I know. You can set up lead nurturing and marketing campaigns that are automatically triggered based on specific criteria at specific time. When these automated campaigns are ready and running, your business might be sending out thousands of personalised emails each day on autopilot. If you haven’t realized by now, marketing automation saves you time and money. Less email preparation, less time scheduling your social media posts for the day and less overheads. Thanks to marketing automation, you can schedule everything you need ahead of time, which will free you up to do other, more important marketing activities. Reaching the right person at the right time with the right message is the key. Marketing automation allows you to send personalized messages to match the specific needs of each customer. You can target customers based on their behavior, preferences, and previous purchases, and for example reward your top spenders with discounts based on their shopping behavior. Incorporating elements like recipient´s name, make your emails appear more personal; as if they were meant just to them rather than to a large list. When a contact receives an email that looks as it was sent specifically for them, they’ll be more likely to open it and engage. Leads – that’s what it’s all about. Marketing automation provides an effective framework, from research to purchase, for nurturing leads. People who receive your emails and visit your website might be interested in making a purchase but are not ready to commit just yet. Using marketing automation for lead nurturing can guide leads throughout the sales funnel until they are ready to buy. Your ability to follow up with leads instantly, stay in touch and establish a relationship until they engage with the company’s products and services is essential. Marketing automation helps you to identify the most qualified leads by lead scoring. Each lead will get a score for example based on their demographic information, behavior and activity level on your website. This gives your business the information needed to determine where the lead is in the sales funnel and prevents your sales team from wasting time on leads that aren’t a qualified for your products or services. So, you can concentrate your resources on hot leads rather than pursuing cold ones. Marketing Automation is a subset of customer relationship management (CRM). The two systems will constantly talk to each other, bringing your marketing and sales team closer together. Marketing automation also enriches the data on the CRM by adding the customer’s actions to their account. This improves customer management, gives you a much fuller picture of a person’s relationship with your company and makes operations more customer-oriented. By connecting your CRM with the marketing automation system, you’ll have the benefit of seeing your contact’s sales and marketing activities all in one place. One of the benefits of marketing automation is increasing the average purchase size. This can be done with up-sells and cross-sells. When a customer is finishing up their purchase, you can recommend compatible products, goods others have bought, or offer perks, such as free delivery. What is the main reason to use marketing automation? It will increase your revenue! Eventually all of the benefits outlined in this post contribute to increasing revenue in some way or another. Hopefully this post has given you a better understanding of marketing automation and why it is important to your business. If you need help figuring out where to start or how to improve your marketing automation, we would gladly talk with you.